Early in January, the IRS announced that it would be waiving the estimated tax penalty for many taxpayers whose federal income tax withholding and estimated payments from last year fell short of their total liability for 2018. 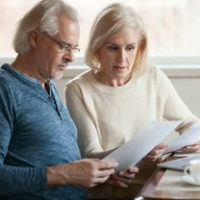 However, this waiver only applies in certain situations, so if you believe that you might qualify for this waiver, you should strongly consider speaking with a skilled Florida tax and IRS attorney who can ensure that you satisfy all eligibility requirements, as those who do not qualify and who also fail to take care of their tax debt could end up with even higher penalties. The person’s payments were at least 100 percent of the prior year’s debt, unless the taxpayer’s adjusted gross income exceeded $150,000, in which case, the 100 percent threshold would increase to 110 percent. However, under the new waiver rules, the 90 percent threshold is reduced to 85 percent, which means that a taxpayer won’t owe a penalty as long as he or she paid at least 85 percent of the total liability. If a taxpayer paid less than 85 percent, he or she won’t be eligible for the waiver and the penalty will still be assessed. A combination of federal income tax withholding and quarterly estimated tax payments. The waiver was put in place to help taxpayers who were unable to adjust their withholding and tax payments to reflect the many changes enacted by the Tax Cuts and Jobs Act (TCJA), which were intended to help taxpayers withhold less in taxes and receive higher paychecks. The suspension of dependency exemptions. For this reason, many taxpayers who did not submit a revised W-4 withholding form to their employers, or who failed to increase their estimated tax payments could have ended up underpaying their taxes during the year. As a result, many taxpayers who expected to receive tax refunds this year, will actually owe additional taxes when they file. Please call 386-490-9949 today to schedule a one-on-one initial case evaluation with experienced Florida tax attorney Ronald Cutler, P.A. about whether you qualify for the new IRS penalty waiver. © 2016 - 2019 Ronald Cutler, P.A. All rights reserved.